Google and Microsoft, while not outright enemies, have been engaged in a number of public slap-fights over the years. After all: they're competitors, and Google competes with Microsoft in three areas where the company's fortunes have sharply declined (smartphones, the browser wars) or never really got off the ground to begin with (search). Microsoft has even been engaged in lawsuits against Android and, under threat of legal action, extracted (and may continue to extract) royalties from companies that make Android devices. Microsoft also helped lead the charge in what was likely the impetus that eventually caused the European Commission to file antitrust charges against Google last week. 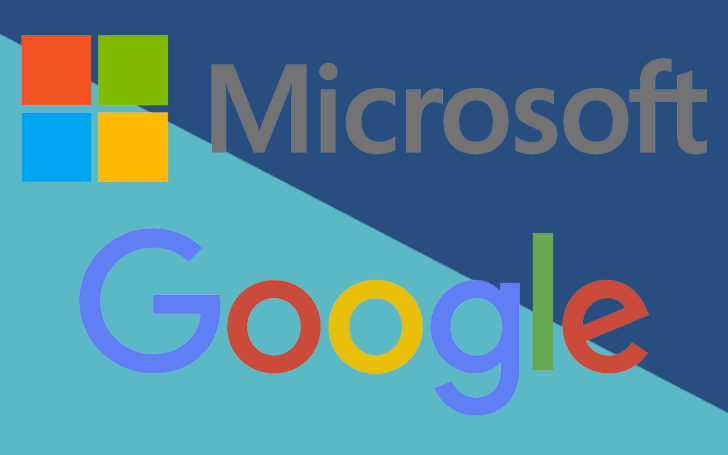 According to statements from both Microsoft and Google, though, they have mutually agreed to stay hands-off in regard to complaining about each other to government regulatory agencies... like the European Commission... and both companies will imminently withdraw all current regulatory complaints against one another. Google, it seems, is in what has historically been Microsoft's hot seat over in Europe, and perhaps the two companies have realized that incessant whining about one another to the EC or other agencies could potentially damage their business in unintended and potentially precedent-setting ways. Just maybe. Whatever the reason, it's probably good news.